On Sunday, Tanzania´s Taifa Stars and Uganda´s Uganda Cranes match kicked off resulting in a 3-1 score respectively. As the match was still underway, Diamond did not forget to urge his relatives from Kampala, Ug, to be on the look out. Soon after, Diamond took to social media to publicly humiliate the entire Uganda nation, through ex-lover, Zari. The bongo flava star, did not mince his words to Ugandan socialite and ex-lover, Zari Hassan. He did hit the nail on the head, after making reference to the fact that the two easily sired two children. The Boss Lady neither spared the Tetema hitmaker, and struck back unapologetic-ally: The much looked upon match took place at National Stadium, Dar es Salaam. This saw Tanzania qualify for the Africa Cup of Nations finals since 1980. Tanzania was grouped together with Uganda, Lesotho and Cape Verde, as Group L. East Africa will be represented at the finals by Kenya, Tanzania, Burundi and Uganda, hosted in Egypt. May the best team win! 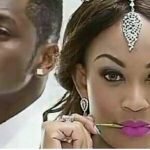 The post ¨Kama tuliwafunga magoli ya watoto tutashindwa ya mpra?¨ Simba, Diamond Platinumz fires at Zari appeared first on Ghafla! Kenya.